ENTER! Treehorn's sign compels the bibliophile in off the street. Less than 10 minutes after Treehorn Books in downtown Santa Rosa has opened its doors for the day, a few eager booklovers have already begun to roam the store. Some are seated in the middle of aisles and perusing floor shelves, while others work through sections, letting their fingers occasionally drift over a book or two. Co-owner Michael Stephens stands on a small stool and rearranges a stack of natural history and travel books at an effortless pace as he talks, gazing at the jam-packed shelf for a few moments before plucking a book adorned with a picture of the California coast out of the lineup and inserting a new title in its place. He adjusts the organization of paperbacks and hardbacks almost instinctively, stacking books evenly to the ceiling. The crinkle of dust jackets fades into the peaceful background sounds of the store, and snippets of conversation drift in and around the maze of shelves. "See, we were always book people, not businessmen," Stephens says of his partnership with Keith Hotaling, a fellow bibliophile. The two joined forces in 1979 to found Treehorn, Sonoma County's answer to a literary treasure trove, banking on their intuition rather than any kind of business know-how. The two Bay Area locals modeled their bookish enterprise after secondhand booksellers around Berkeley, he explains, offering Pegasus Fine Books as an example. "We wanted to be a secondhand bookstore that sold books relatively inexpensively with a huge variety of topics and a willingness to take a chance on anything that seemed interesting or unusual," he says. "That was our definition, and we have stuck to it ever since we opened the store." This persistent dedication to finding unique content has been a lucky charm for the independent bookstore ("If it's a book that I see in every bookstore, I don't want it. We like the unusual and the odd"), allowing Stephens and Hotaling to avoid the sometimes cutthroat war between chain bookstores like Barnes and Noble and Borders. "It's just a totally different mindset," says Stephens. "To me, the problem with stores like that is that they're selling books, but they might as well be selling nuts and bolts or auto parts or something like that. They don't get as much of a thrill out of the discovery of books that is the natural component of someone who owns a secondhand bookstore." A giddy and somewhat dreamy smile spreads across his face as he shakes his head. "I've seen a lot of books in my day, and when I see something interesting that I've never seen before—nothing thrills me more than finding a book like that. Nothing. That, to me, is as good as it gets." Though there always seems to be a steady stream of customers wandering through the stacks at Treehorn, Stephens insists the bookselling business is on the decline, just like any other business in an economic downturn. "In a recession, people will bargain hunt, but the store doesn't just cater to bargain hunters," Stephens says. "We also sell collectors' items and first editions—expensive books—which really dies when there's any kind of economic downturn. So while you may pick up a little bit in the bargain category, you lose as much in specialty." The prices of books are hitting rock bottom, he says, and online bookstores like Amazon are becoming an easy and cheap way to shop for literature. In the long run, however—here Stephens waves a hand around his shop—physically browsing for a book can't be beat. "Amazon is handy, and certainly a serious competitor of the retail bookstore, but it also has extreme limitations," he says as he flips a book over to examine the back cover. "A large chunk of our customers want and collect books on particular subjects—let's just say the Civil War. There are a lot of books on the Civil War. Some of them may be of interest to them, and many of them won't, and they're not going to know that until they see it and hold it in their hands." The luxury of viewing thousands of entries through Amazon also takes away a taste of the unknown that many customers find irresistible, he adds. "Nothing beats poking around in a used bookstore, looking for books in your subject that you don't even know exist," Stephens says. "Amazon's useless for that." And the Kindle? The handheld digital book—along with talk of the extinction of printed product—has recently been making waves in the publishing industry, but Stephens makes it clear he doesn't see technology toppling the book trade anytime soon. "I don't see it happening at all. There was the exact same kind of talk about record albums when CDs came out," he says, "and books have been around a lot longer than any kind of [recorded] music. "He stops and scans the worn covers and book spines. "Plus," he adds, "people like them. I don't know what the size of a Kindle screen will end up being, but I don't think looking at that and looking at a nice, big oversized art book is ever going to equate. "Stephens diverts from the conversation momentarily and begins the story of the greatest used book find of his life. While at an East Bay rummage sale 10 years ago, he stumbled upon 500 boxes of neatly packed books from the 1950s and '60s, all in mint condition. He spent all day perusing the gems—"We're talking Kurt Vonnegut's first novels," he says—and walked out with 50 boxes of books that found a home on Treehorn's shelves. "Independent bookstores are just more interesting," Stephens says, coming back to the present and picking up the stack of books he has finished switching out. "If you were to ask people across the Bay Area what the best thing about this store is, I think one of the things that they would say is that you just never know what you're going to find in here. I take that as an enormous compliment." Treehorn Books is only one in a lengthy list of independent and secondhand bookstores in Northern California, a network that, despite all the recession woes, is alive and well. "For not being in a big major city, there are damn few areas like this that could rival the book community that Sonoma County has. We're happy to be a part of that," Stephens says. Leaving the store, squinting a bit in the sun, the smell of old pages lingering for a few seconds, there's a palpable understanding that nothing beats a new book—except an old one. Treehorn Books is located at 625 Fourth St., Santa Rosa. 707.525.1782. Book Passage 51 Tamal Vista Blvd., Corte Madera. 707.927.0960. Books Wanted 540 Raley's Towne Center, Rohnert Park. www.bookswanted.com. 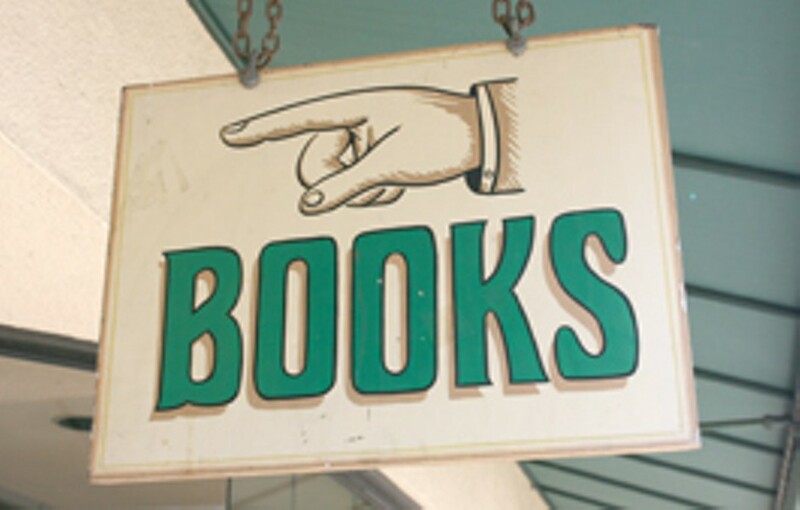 Booksmith's New & Used Books 615 San Anselmo Ave., San Anselmo. 707.459.7323. Chanticleer Books 127 E. Napa St., Sonoma. 707.996.7613. Copperfield's Books Locations in: Santa Rosa (2316 Montgomery Drive; 707.578.8938), Healdsburg (104 Matheson St.; 707.433.9270), Petaluma (140 Kentucky St.; 707.762.0563), Sebastopol (138 N. Main St.; 707.823.2618), Calistoga (1330 Lincoln Ave.; 707.942.1616) and Napa (3900-A Bel Aire Plaza, Highway 29 at Trancas Street; 707.252.8002). Depot Bookstore & Cafe 87 Throckmorton Ave., Mill Valley. 707.383.2665. North Light Books & Cafe 550 E. Cotati Ave., Cotati. 707.792.4300. Open Secret Bookstore 923 C St., San Rafael. 707.457.4191. Point Reyes Books 11315 State Route 1, Pt. Reyes Station. 707.663.1542. Rebound Book Store 1541 Fourth St., San Rafael. 707.482.0550. Readers' Books 130 E. Napa St., Sonoma. 707.939.1779. River Reader 16355 Main St., Guerneville. 707.869.2240. Twice Told Books 14045 Armstrong Woods Road, Guerneville. 707.869.1479. Whyte's Booksmith 615 San Anselmo Ave., San Anselmo. 707.459.7323.